Advisor to Gala Precision Technology in the sale of its compressor business to the Hoerbiger Group. HOERBIGER Group, Zug, Switzerland has acquired the compressor business of Gala Precision Technology Private Ltd., Thane, India. 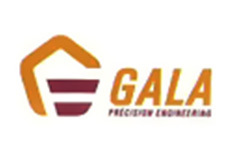 Gala Precision Technology Private Ltd., India is a leading manufacturer of valves and systems for reciprocating compressors in hermetic and semihermetic applications. Avendus Capital was the exclusive financial advisor to the shareholders of Gala Precision Technology for the transaction. HOERBIGER will continue to operate the compressor business and the production site of Gala in Thane, India, as an independent entity in the strategic business unit compression technology under the direction of the business division serial compressors. With the acquisition of the compressor business of Gala, HOERBIGER Compression Technology will be in a position to gain significant market share in the area of hermetic compressor valve applications. In the field of semi-hermetic compressor valve applications, HOERBIGER will be able to sustainably expand its global market position due to Gala’s strong presence in Asia. About Gala Precision Technology Pvt. Ltd.
Gala Precision Technology Private Ltd., India is a leading manufacturer of valves and systems for reciprocating compressors in hermetic and semihermetic applications. The company has an extraordinarily strong representation in the Indian market. In addition, Gala has excellent business relations to Europe, South America, Asia, and in particular to China. The company has approximately 300 employees. HOERBIGER Compression Technology is a Strategic Business Unit of HOERBIGER Holding AG in Zug, Switzerland. HOERBIGER is active throughout the world as a leading player in the fields of compression technology, automation technology and drive technology. 6,400 employees have achieved sales of around 1 billion Euros. The focal points of its business activities include key components and services for compressors, gas-powered engines, and turbomachinery, hydraulic systems and piezo technology for vehicles and machine tools, as well as components and systems for shift and clutch operations in vehicle drive trains of all kinds. Through innovations in attractive technological niche markets, the HOERBIGER Group sets standards and creates high-quality unique selling propositions with long-term benefit for the customer. Avendus Capital is a leading institutional financial services firm with strong transaction track record and relationships with corporates and investors. Avendus uses its unique domain and industry focused approach to businesses like M&A advisory, Private Placements for growing companies, Structured Products Advisory, Equity Capital Markets, Institutional Broking and Asset Management. Avendus Capital has closed 66 deals between 2005 and 2008 and has been rated as among the top 5 investment banks in India by Bloomberg. Avendus has executed several marquee cross border and domestic transactions for multiple clients in USA, Europe and India. Headquartered in Mumbai (India) Avendus has offices in New Delhi, Bangalore, New York and London.